There is one photo of Roo that I still keep in my purse, that I think of when I think back to her as a baby. 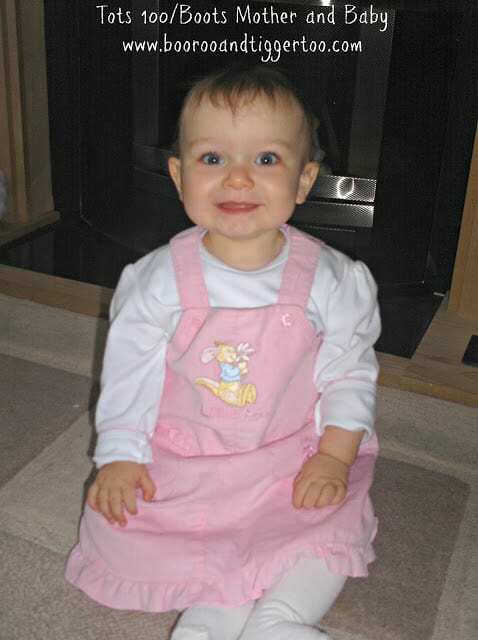 The photo is her sitting in our living room wearing a ‘Little Roo’ outfit. When I was pregnant with Roo, we bought a Roo teddy bear from the Disney Store and joked that I was just like Kanga carrying around my own little Roo. Since that day my little girl has been known as Roo so it was only fair that she should wear the clothing range in her name.